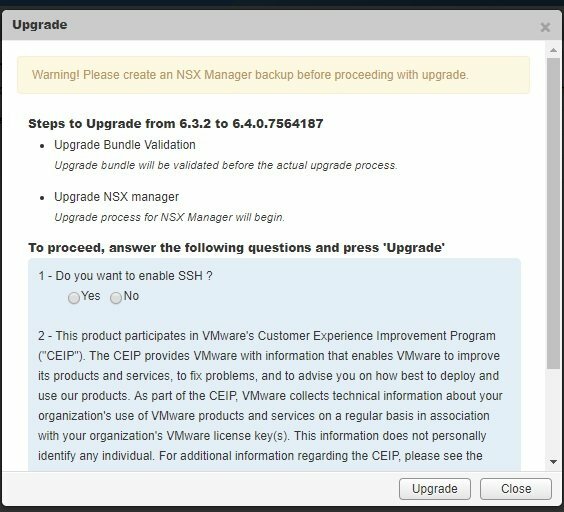 tl/dr: If you upgrade from NSX 6.3.x to 6.4.0 make sure you remove the Control VM HA IP if it is set. Note that I have checked this with DLR and UDLRs. So I wrote about this the other day and decided to see if it would blow things up during an upgrade to 6.4.0. I hit enter and it came up, so I’ve got that going for me. Which is nice. Ok, so did the Edge blow up with the IP set like it does in 6.4 if you set the IP and then enable HA? Ok, great so upgrading to 6.4 removed the HA IP? Note that repeated tests show that this might not error unless you open the window to change the IP address – even if you don’t change anything! 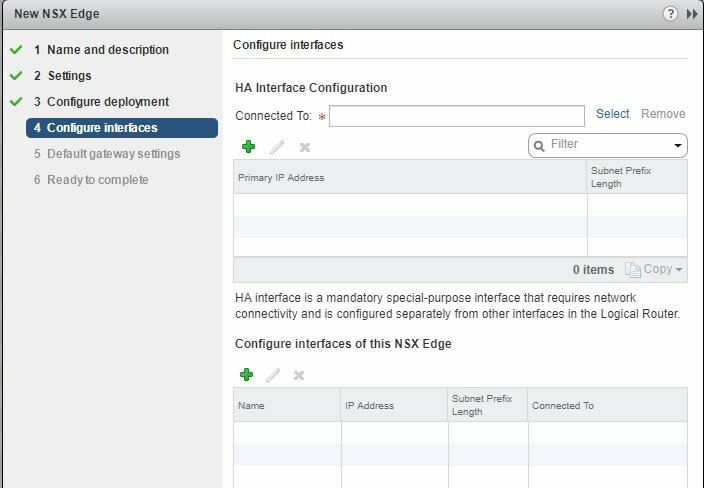 So, again – remove the HA IP configuration if you set it before upgrading! and then don’t set it in HA during the install or while playing with HA. tl/dr: Enable HA during DLR deployment, don’t specify an HA IP address (if prompted), use a unique logical switch for HA. Edits: Some info from VMware below. Also, if you are upgrading from 6.3 I would remove the HA IP address first! 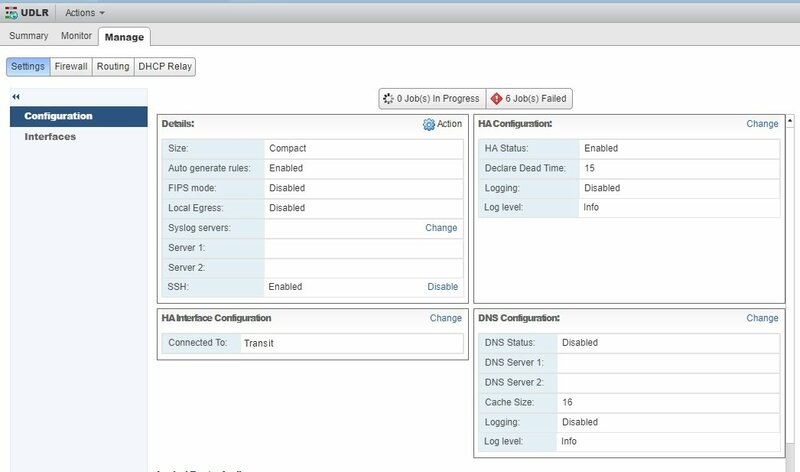 I wrote a few posts last year on the DLR components of NSX – specifically the Control VM that handles dynamic routing partnerships. There are a few interesting changes to the Control VM for 6.4.0 I wanted to get down on paper cause they can result in a call to support if not handled right. Both of the issues concern the initial config wizard for the DLR. You are prompted on the first page to enable HA. Make sure you enable HA here! It is very possible to not be able to enable it later w/o a call to support. Note that whether or not you enable it, on the fourth screen you’ll need to set an HA interface connection. If you see an entry for HA IP Do not set an IP address here. This isn’t that bad, as even tho you can add one, it won’t actually retain the IP address you set here. I just deleted it instead of calling support so maybe they have a work around, but best bet is don’t do it! EDIT: This is news to VMware apparently. Also I would really suggest removing the HA IP (if you configured it) before upgrading to 6.4! The other issue is the “Connected To:” network for the HA interface. In 6.3 you could easily set the same network for a regular (uplink/internal) interface and the HA interface. and with 6.4 you can easily set them to be the same during the initial install. But, after deployment, you can’t set the HA interface to one already used by an interface. But you can set an interface to the one currently used by HA. Is it a bug? Are you not supposed to used the same network for HA and an interface? If I find out I’ll let you know, but for now I’m creating a unique logical switch just for the control VM HA traffic. 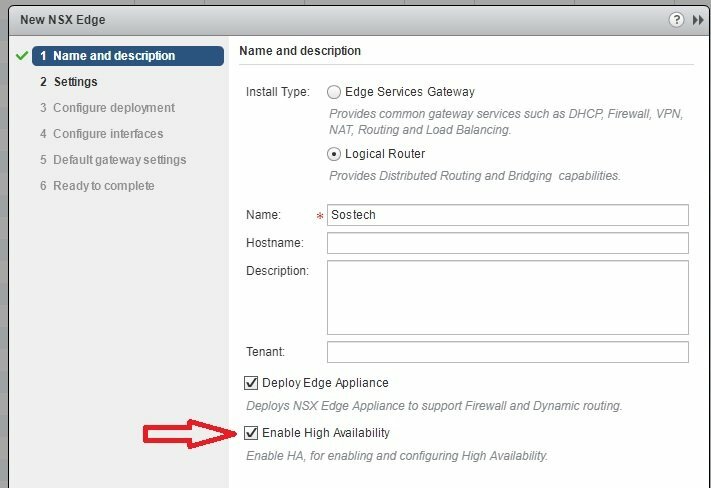 EDIT: Per VMware, set a dedicated network for HA, or use an uplink. 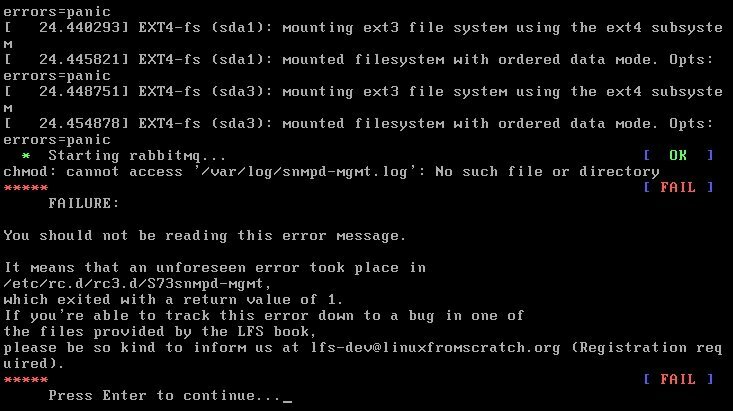 Exploiting the interface to set an internal network will cause problems (it will always fail the IP check). I currently have an open support ticket out on why I lose traffic during a control VM failover – prior to 6.2.5 you would lose pings as the Active control VM would pull all routed from the hosts on its way down, but that was resolved. Note that I still saw it in 6.3.2 so YMMV. Now what I see is the Edges changing the internal DLR networks to “Weight 32768, AS Path ?” briefly when the Secondary takes over. I have my BGP timers set to 1/3. I’ll post what support says when I hear from them. 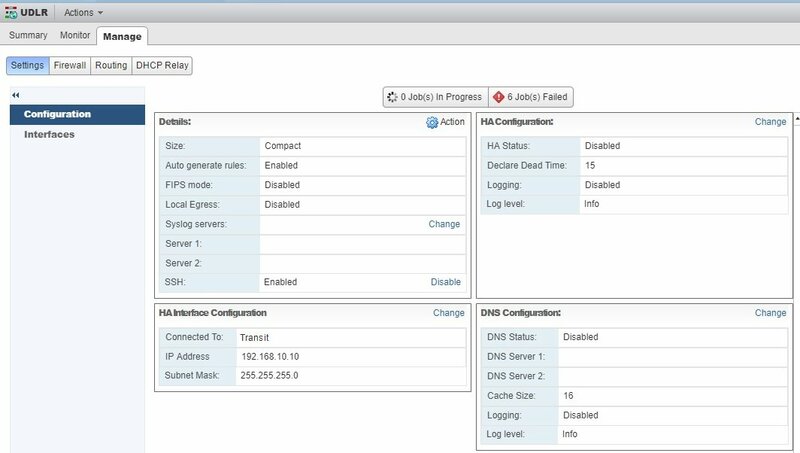 vSphere plus SDDC Manager (VMware Cloud Foundation) plus NSX-V hosted on bare-metal at AWS. Just US (east and west regions) for now. Likes NSX on your DC but works with many hardware vendors for an IPSec endpoint. AWS services provided via direct connect (from compute Edge via a ENI) or internet connectivity. Can connect to a AWS VPC Endpoint. Includes routing table updates when connecting direct to AWS networks. Brought to you by the NSBU at VMware, home of NSX-V, NSX-T, VRNI. Cloud-based with a local “proxy” (assuming local need). Developer-focuses with tie-ins to development stream to track changes. Supports Windows 2012, 2012R2, 2016 with *nix support coming. NSX-T(ransformers) is a multi-hypervisor (ESX/KVM) cousin of NSX-V. Same SKU (if you own NSX-V 6.x, you own NSX-T 2.x). I wrote this to help a client migrate to VXLAN from portgroups. If you don’t enter a initial parameter it will remind you and exit. Entering an initial parameter, the script grabs the line from the CSV where the first value matches your input. Pull the PG and VS from vcenter and verify that is what you are looking to work with. Migrate the VMs and display the # of VMs on the PG and VS.
VMware certification has announced a series of “badges” that existing VCPs can add to demonstrate knowledge in either vROps or vSAN. Right now the portal claims the exams are only available during VMworld US (Aug 27-29). My guess would be the price will go up after VMworld with a new date range. $125 for vROps until 8/29 then ?? 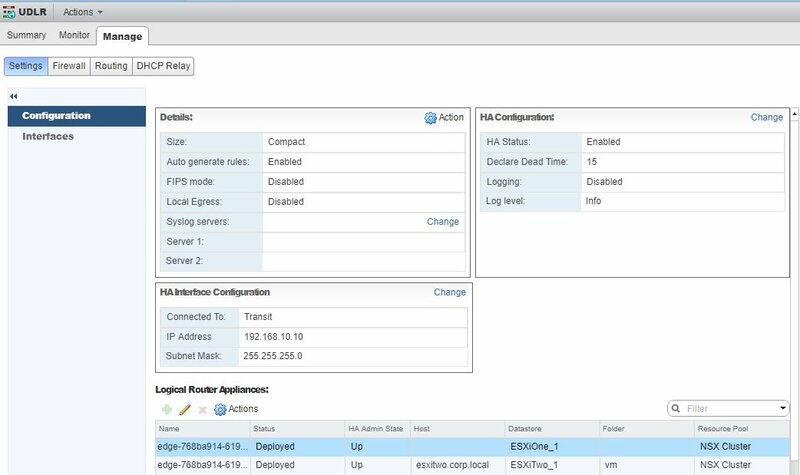 vSAN time: 110min plus 30min time extension for ESL. 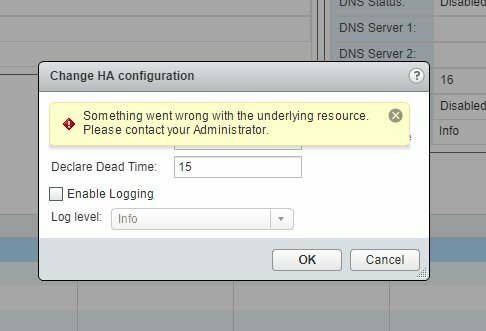 vROps: The number of questions and time allowed are not currently posted. if anyone pays the $125 and finds out please let me know! If you are interested in taking an exam just as expensive and time consuming as a VCP that only counts as a “badge” let me know in the comments. After all that hard work, it’s time to show off. 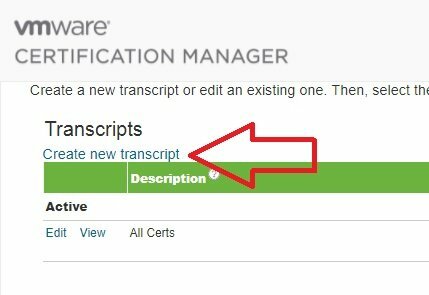 You can obtain PDFs of your VMware certifications or a URL listing all of them in the VMware Certification Manager. The URL will look like https://www.certmetrics.com/vmware/public/transcript.aspx?transcript=V5C8E3G22MVQ1VJX and can be send to prospective employers, or added to LinkedIn as a verification of your skill set. Click on the Certification Manger link. 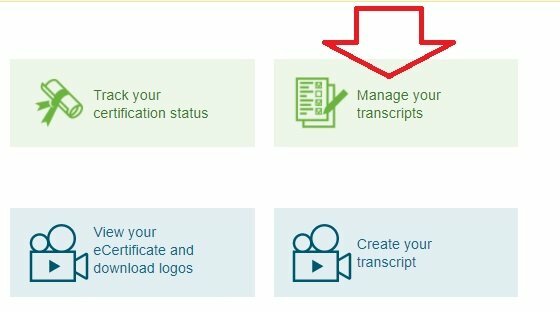 If you don’t have a transcript listed, create a new one. 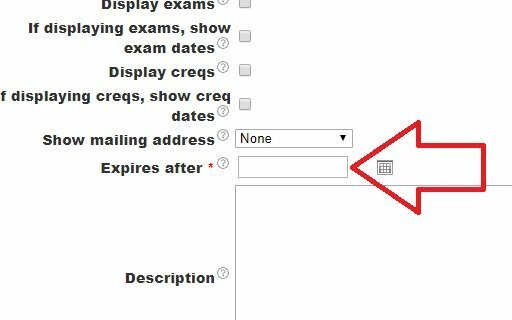 Leave all the defaults and enter an expiration for the transcript. Note that the URL won’t work after this date. Click the Link icon and copy the URL listed. Click Track your certification status. Each certification (note that VCIX is a “badge” and doesn’t have a PDF) will have a PDF link next to it. Print and hang on the fridge for all to see.